These are the spring loaded front sights. Each of these sights come with either Red or Green fiber installed. 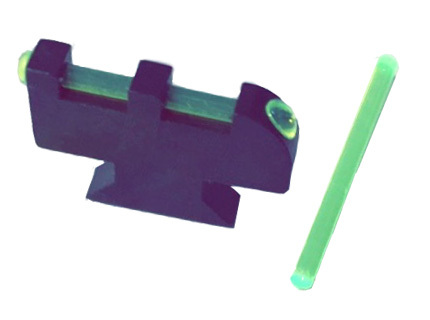 So now you can purchase our plain rear sights and add a fiber optic front sight in your choice of styles and colors. Or add these front sights to your already favorite rear sight.